Carole Stizza brings unique insights into the world of organizational relationships. The need to reveal and celebrate unique talent within all individuals to promote innovation, inclusion and retention has never been greater while the rewards have never been sweeter. With a passion for elevating deeper understanding and accessible collaboration in today’s workplace, Carole provides insightful information, actionable tips, formulas, and verbiage that will immediately impact work relationships positively. How identifying where leadership blind spots exist drives clarity and success. 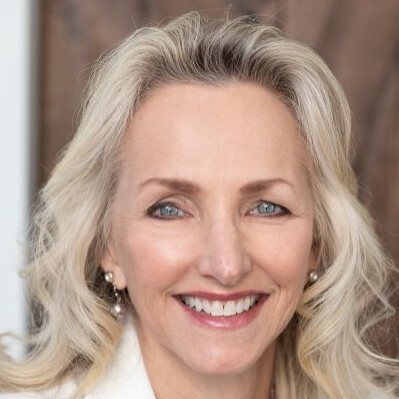 A Certified ICF Coach and Senior Human Resource Professional, Carole holds a Bachelors and Masters in Industrial-Organizational Psychology and has been responsible for supporting a military family across the U.S. for 26 years until landing in Northern Virginia. She is a contributing author in the HR Anthology: Compassion@work (2017) and in Coaching Wisdom Vol.1 (2018). Her audiences range from graduating college seniors going after their first big career interview, professional millennials who seek to grow in their organizations, to executives and business owners who want tools to elevate their teams and enjoy the process. Individual talent has never been more ready for new strategies and insights on how to thrive within themselves, the team, and the whole organization. Carole has sat through boring, vague, and mind-numbing presentations herself, wishing for more interaction, humor, and solid take away information to make a difference in performance. So instead of complaining about it, she delivers that herself. Access to stories, personal experiences, and funny ‘you can’t make this stuff up’ humor, each presentation is designed to resonate with the audience, provide useful tools and information, and catch them laughing so they learn. The best feedback is to hear that her audience was able to put tips she offered into use immediately. To do that Carole offers to get to know her audience, regardless of size, by taking the time to meet their specific needs by researching and connecting. WHAT DOES IT LOOK LIKE TO WORK WITH CAROLE STIZZA? Seeking more registrations or want to give a special welcome: I'm happy to provide a short hello video - either introducing a peek preview of content or simply a welcome to the event. Customizing: The best talks are relevant to what the audience works on and struggles with. I always offer to connect with (CEO's, HR Director's, VP's, planning committee, general attendees) to gain insights for a real customer experience. Simplicity: No multi-page contracts or missed deadlines. I often work (all inclusive) so I take care of my own travel saving you the back and forth. Stress-Free: I'll touch base when I arrive on site - I have my own laptop and slides backed up in Keynote and PPT to prevent any technical issues. Availability: I love connecting with attendees. As much as travel schedules allow I try not to duct in and duct out so I can be available to meet and connect before and after the session I speak. Fun / Creative: Do you have a crew on site that loves spontaneity to connect with your audience or for marketing? If I'm on site, let's do it. There are always fun ways to engage your attendees and provide a unique experience for them. Recap: I always love to hear what resonated and added the most value for you and your audience. It's also amazing what I learn while talking to attendees and at times have additional insights to offer into your people. Emphasize the content: I'm happy to shoot a short training video talking about one of the main learnings from the keynote. You can use this to remind your audience what your event offered or to send to those who couldn't attend. Follow up: I always offer to stay connected with those in the audience who desire to receive information in the future. I offer Facebook and LinkedIn links as a way to continue to engage in the content and help further the investment of the keynote and the event. Find out more about Carole Stizza, SHRM-SCP, ACC at http://www.relevant-insight.com.